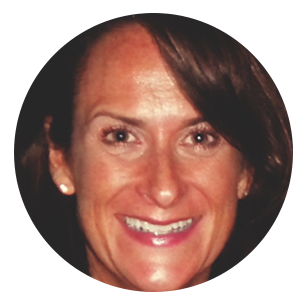 Learning Curve – due to many EPM options, local members, etc. Formatting – some users find the formatting sheet is overwhelming and unintuitive. Excel Formulas – formulas require the use of complex local members. Performance – multiple EPM reports on a single template can perform poorly on small datasets. Users can create a EPMRetrieve report with little EPM report writing knowledge. For example, an EPM report could easily take over a week to build and get the formatting just right where most “static” reports can be built in a few hours. Excel-savvy users can learn to build these reports very quickly versus EPM Reports that take longer to master. In reports with limited rows and columns, refresh times can be extremely fast compared to standard EPM reports. The below example demonstrates retrieving data by month to create a bar chart. This data can be retrieved on the same worksheet as the graph or in a separate hidden worksheet as necessary. The below graph was created from retrieving sales data from BPC for the last twelve months. 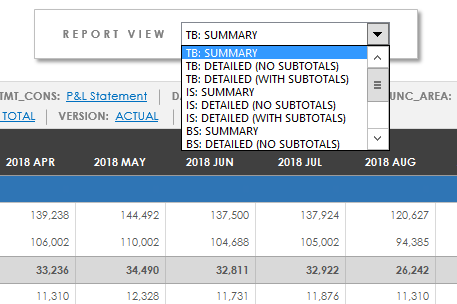 Utilizing drop-down selectors in reports rather than choosing dimension IDs from the EPM context pane allows users to curate the list of available selections. 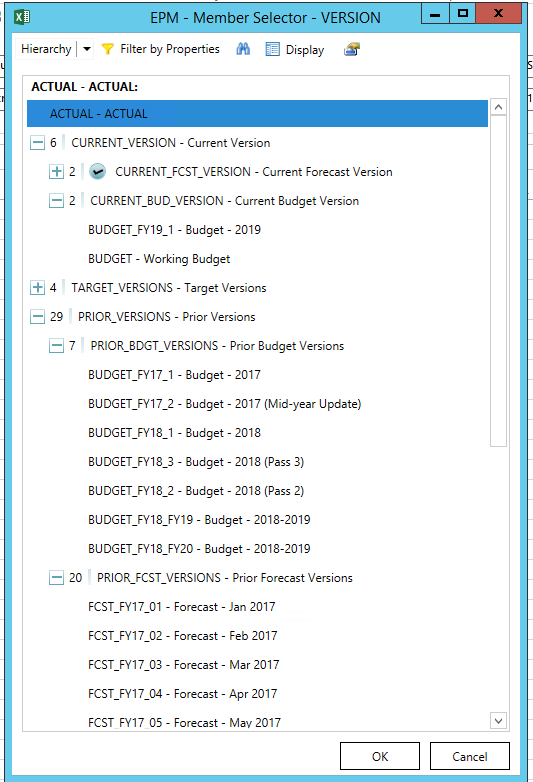 For instance, a drop-down selector can narrow down the version list in a variance report, allowing users to select Budget or Forecast to compare against actuals. Utilize drop-downs based on another user selection (other drop-down). An example of this is a template where the user selects a cost center member using a drop-down, then narrowing down the accounts in a separate drop-down based on the cost center selected. 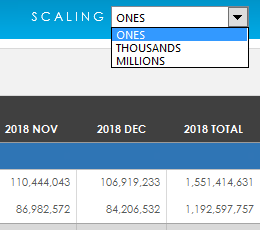 Use drop-downs based on zero suppressed data in a report. Suppressing data using a drop-down selection of “yes” or “no” enables the user to control the granularity of the report without having to learn complex BPC expansion syntax. Utilize a drop-down coupled with an EPM formula, such as EPMDimensionOverride, to create custom, dynamic views for report rows. Using Excel buttons or forms works great in BPC templates. Instead of using the EPM ribbon icon to send or refresh data, a button can be placed directly on a report. The user doesn’t have to search in the EPM Add-in ribbon to save or retrieve data from BPC – the button is clearly visible and one click will either save or retrieve data. 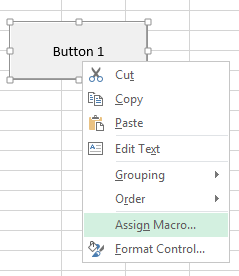 To insert a button, navigate to the Developer tab in the Excel Ribbon and choose “insert,” then click to see the options available for buttons (forms). 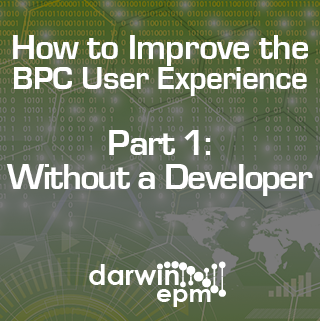 Stay tuned for next week’s blog – How to Improve the BPC User Experience, Part Two: With a Developer.